Despite Rishabh Pant’s 128 not out, Sunrisers Hyderabad on Thursday won by nine wickets in the 11th season of IPL against Delhi Daredevils, at the Ferozshah Kotla ground. 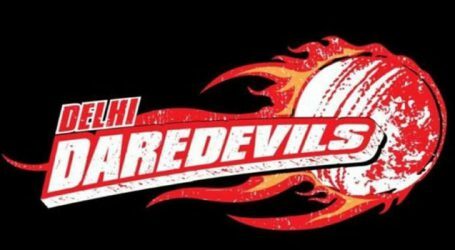 Delhi, however, made a challenging score of 187 for five in 20 overs, but the bowlers of Delhi performed poorly. 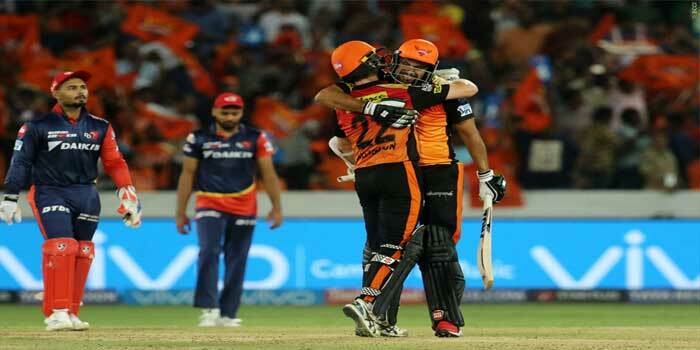 Hyderabad scored 191 runs with one wicket down and also secured a place in the play-offs. This was the ninth victory in 11 matches of Hyderabad and it has 18 points, while Delhi had to face the eighth defeat off 11 matches in IPL 11. Hyderabad, after being considered the best team of the tournament, chased down opener Alex Hales (14) on 15 but Shikhar Dhawan (92 not out) and captain Ken Williamson (83 not out) made 176 runs off 102 balls for the second wicket, and vanishes the hopes of Delhi. Shikhar scored an unbeaten 92 off 50 balls with nine fours and four sixes in his home ground, while Williamson, with an unbeaten 83 off 53 balls, and helped Hyderabad to reach in the playoffs. Due to Delhi’s poor performance, the audience started vacating the ground. Pant played his best innings of life, but the Delhi bowlers disappointed the domestic audience by giving their worst performance in the tournament.